We are constantly working on big and small improvements to our platform. 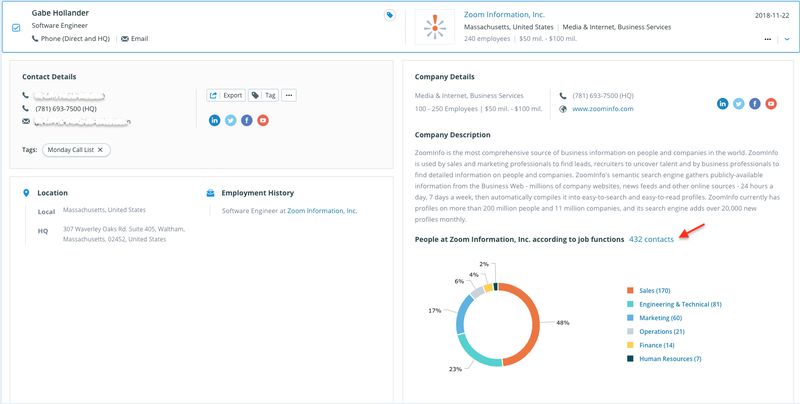 We have been getting a ton of feedback from our customers and are focused on optimizing your workflow within ZoomInfo. Keep reading to see some of these improvements. We've integrated Datanyze’s information into ZoomInfo, giving our customers access ﻿to the best quality technographic data in the market! 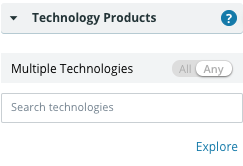 ﻿There was no change made to the UI of the product, but you'll likely see a more robust list of technologies to search for now. 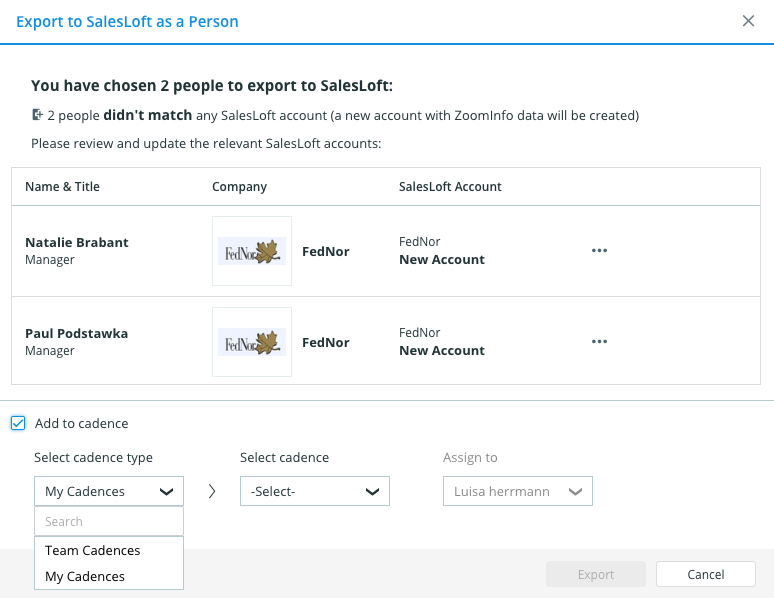 When exporting people into a SalesLoft cadence, you can now choose between cadences you own or team cadences and even assign the record to a specific team member. 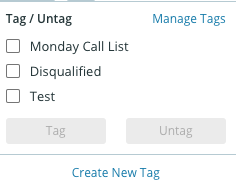 Thanks to feedback from you, we've improved the tagging user experience by moving the 'Manage Tags' button to the top right of the tagging section. You can now easily access all contacts at a company from a Company or Contact card! To do this, simply expand the card and click on the number of contacts next to the "People at" section. 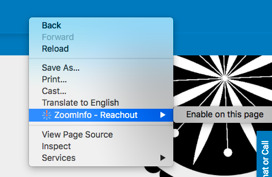 To enable ReachOut on a site outside of these domains, simply right click on the page and click ZoomInfo - ReachOut then enable on this page or click on the ZoomInfo icon in the browser toolbar.